Lara is obsessed with the Mayan culture. She loves finding rare and beautiful artifacts. She has just sold her Toronto antiquities store and is unsure of the direction her life will take. Then she receives a cryptic phone call from Dr. Hernan Castillo, an expert in Mayan history, to help him with a mysterious project. But when she arrives in Mérida the good doctor is nowhere to be found –until his lifeless body is found in his office. Lara knows she must retrace the doctor’s steps to find out what he was working on if she wants to find his killer. This takes her into the lush paradise of the Mayan temples and the camps of those trying to save their Mayan heritage. This is when “the mysteries of the past meet the dangers of the present” putting Lara in a perilous position. 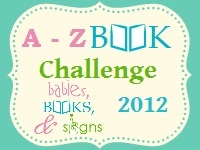 I never dreamed that an A-Z book challenge would help me find this wonderful mystery series. The story is rich with Mayan and Mexican history told in a fun and entertaining way. This style reminded me of the current Cats and Curios series by Rebecca M. Hale where the mystery is interwoven with true history and events. I can tell the author did plenty of research to make the story authentic. 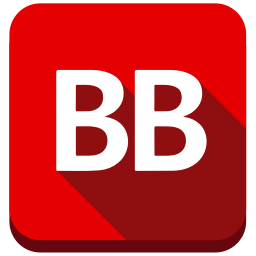 Like all books that are first in a series time is spent laying the character foundation for upcoming installments. I can tell we just scratched the surface of Lara’s story. She grew a lot just within this first adventure. The theme of the series has endless possibilities and the author created 11 novels before her death in 2009. According to her obituary the books reflect her passion for heritage and culture, her sense of humour and her love of travel. I hope to read them all. LYN ELIZABETH HAMILTON August 6, 1944 – September 10, 2009 Smart, funny, creative, strong, loyal and brave – Lyn was all these and more. Lyn kept her battle with cancer private, but the few friends who knew provided wonderful support during her illness. She had a great career, moving back and forth between public service and the private sector, working in public affairs, communications and program management. Then at the age of 50, she decided to add a writing career, using her lifelong interest in archeology to create a mystery series. 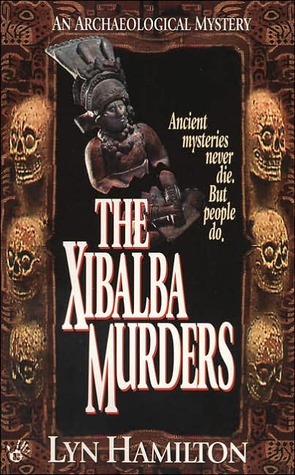 The first of 11 novels, The Xibalba Murders, was published in 1997 and was nominated for an Arthur Ellis Award for best first crime novel in Canada. The eighth, The Magyar Venus, was nominated for an Ellis for best crime novel. These books feature feisty heroine Lara McClintoch, who owns an antiques store in Lyn’s hometown of Toronto and travels the world for her business, solving murders along the way. Lyn managed to write and promote most of her novels during vacations, unpaid leaves and weekends. The books reflect her passion for heritage and culture, her sense of humour and her love of travel. She was Director of Public Affairs for the Canadian Opera Company, where she worked with many others to bring a new opera house to reality, an accomplishment that gave her much joy. Before that, she was Director of the Cultural Programs Branch in the Ontario government. In her earlier days in the government, she worked on women’s issues and was particularly proud of a ground-breaking public awareness campaign on domestic violence. She was involved in education and mentoring of new writers. Over the years, she worked with over 100 authors on their manuscripts. She was writer-in-residence for the public libraries in North York and Kitchener. She taught a mystery and suspense writing course at the School for Continuing Studies at her alma mater, University of Toronto. This book is from my private collection. Connie, She really takes us there doesn’t she.